Goodgame Studios, Germany’s leading developer and provider of gaming software, will launch its first puzzle game later this year. The game is being developed by the new Casual Studio, which was founded in the beginning of 2015. The new studio has more exciting projects in the pipeline. By releasing their first puzzle game later this year, top-selling German games company Goodgame Studios is breaking new ground. The casual segment, which includes puzzle games, is currently gaining popularity worldwide. Goodgame Studios is therefore developing more projects in this segment and are looking at expanding their team by hiring the best talent from across the globe. The construction of a new Casual Studio and the development of a first puzzle game are part of Goodgame Studios’ plans to diversify their product range in order to expand their reach to a different gaming community. In addition to new game genres, the expert of MMO strategy games will also enter new platforms which go beyond the existing options of playing on mobile and in the browser. The Casual Studio is one of several development units that Goodgame Studios had established as a part of their new product strategy in beginning of the year. All studios have their own resources and creative freedom, which enables them to work independently. The aim is to make game development more efficient and to maximise the employees’ creative potential. The fast development of the new puzzler game reflects the company’s plans to have faster production processes in the future. “We are pleased to see that the restructuring of our game development units is proving fruitful and that we will be able to launch our first casual game this year. Expanding our product portfolio is our top priority. We are investing in the best talent and world class technology in order to achieve this goal” said Kai Wawrzinek, co-founder and CEO of Goodgame Studios. The Casual Studios is run by Daniel Persson, who joined Goodgame Studios in October 2014. Persson has worked in the computer games industry for over 15 years and is a veteran in the casual games genre. 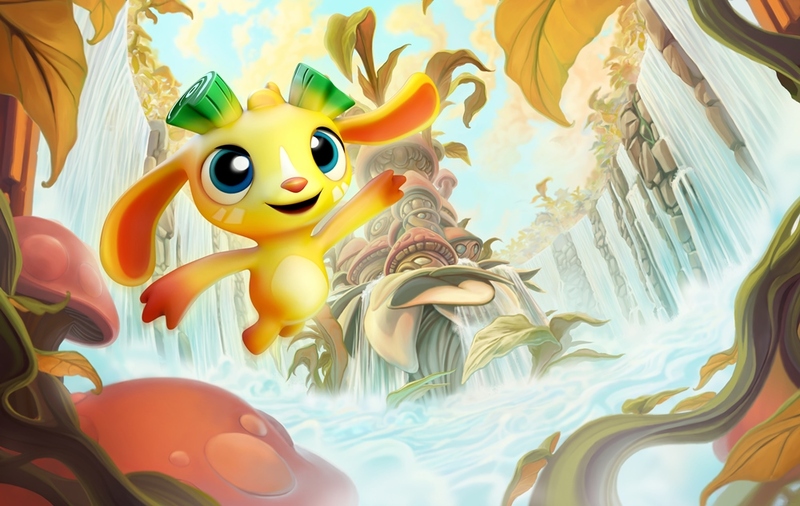 Prior to his current role Daniel worked as Head of Studio at King, where he built the Malmö studio and successfully developed and launched the game “Pet Rescue Saga”. “I am pleased that the new studio structure has enabled my team to maximize its creative potential and to dynamically progress the development of our first project. In order to sustain our growth momentum, we are looking at expanding our studio by hiring experts from varied fields who can add value to our studio. We want to break new ground in the field of casual games and develop innovative and entertaining products” elaborated Daniel Persson, Head of Studio – Casual at Goodgame Studios. The puzzle game combines popular elements of the casual game genre in an unprecedented way and the game will be available as an app for smartphones and tablets as well as on Facebook.